Failure Analysis: How Can My Crankshaft be Bent? It keeps your engine moving and is vital to the overall health of your rig. So when something goes wrong with your crankshaft, the results can be disastrous. One cause of crankshaft failure is a bend or distortion in the part. It's important to know how this occurs and the impact it has on your engine. What can a bent crankshaft do to my engine? One of the biggest issues a bent crankshaft can cause is excessive wear on your main bearings. The bend decreases oil clearance and allows for the wear to occur. The below image shows the wear pattern caused by a bent crankshaft. As you can see, the largest amount of wear is on the center bearing, indicating that the greatest distortion was in the center of the crankshaft. What can cause my crankshaft to bend? 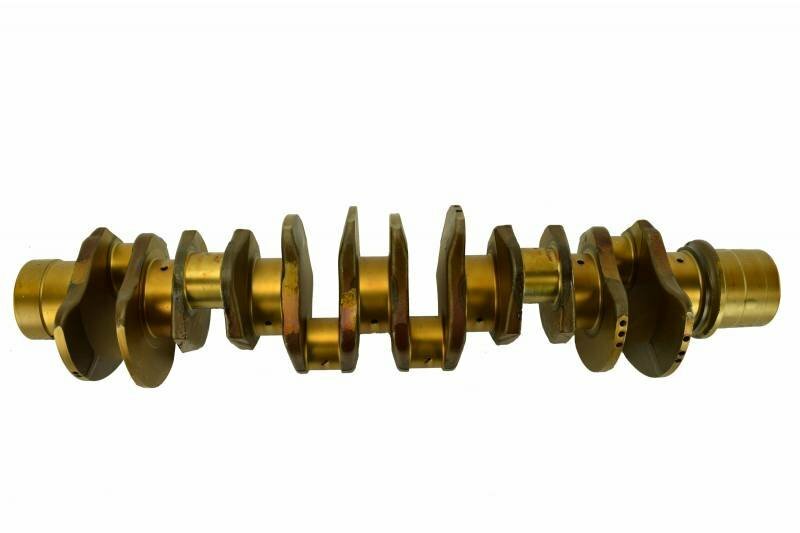 Extreme heat or alternating heating and cooling can result in a distorted crankshaft. The heat causes expansion and the cooling causes contraction. Repetition over time can lead to a bend. If there is a bearing failure, extra clearance will be created and the crankshaft will move around more freely in the engine. Not only will this lead to a bend in the crankshaft, it also causes damage to other components, requiring a more extensive fix than just replacing the crankshaft. Certain operating conditions can cause the crankshaft to bend, such as lugging or overspeeding. Dropping the crankshaft or other improper handling techniques before or during installation can also distort your crankshaft. To learn more about proper crankshaft installation, read our previous blog. Can anything cause similar problems? Similar issues may arise from a distorted crankcase, which can also be caused by heating and stressful operating conditions, but also incorrect torqueing during installation. If you think you might be experiencing issues due to a bent crankshaft, call our certified staff at 844-215-3406. You can also visit our crankshaft page, or request a quote online.